In Mathematics, a bar model is used to represent problems or concepts by the means of pictures. Each and every mathematical operation, such as addition, multiplication, division, and subtraction can be easily depicted by the means of bar models. Bar models are highly beneficial when it comes to explaining mathematical concepts to children. These models can easily visualize the problems and help students in understanding and solving them. However, these bar models are not equivalent to key books. They do not solve the calculations for the children. Bar modeling has its origins in Singapore. It was first used to help children to master the art of mathematics. Using the strategy of bar modeling, even the most complex problems can be solved easily. The process makes use of real-world representations which are tangible in nature. The process then moves over to using diagrams and pictures to display the various aspects of the problem. Finally, the process introduces children to abstract algorithms and notations. The reason for the extensive use of bar models in education is that they provide an entry point for students to grasp the concept of a particular topic. By displaying the topic in its rawest form, bar models allow children to infer the problem by withdrawing complex mathematical notations. Contrary to common belief, these bar models do not actually remove traditional algorithmic methods but provide the means for students to understand what the problem actually means to say. Bar models can be simply defined as a powerful, versatile strategy which can be implemented across a diverse range of subjects. These bar models give the pupils a powerful tool with which they can view the problems via a different perspective. Bar models help students to adapt and understand problems even at their increasing level of difficulty. These models can help students to completely grasp the concept of the topic or student being taught easily. Students can learn formulas easily and do not shy away from solving problems even when they encounter complex formulae. Bar models use concrete, pictorial and abstract approach. This takes them a lot closer to the actual concepts. Bar models were first devised by mathematical theorists Bruner, Dienes, sand Bishop. Fractions is another segment of mathematics where bar modeling is extensively used. It helps students to gain valuable insights into the topic by providing them with simple but powerful visual models that they can draw and use to solve the problems. Beginners of Fractions – For children who are complete beginners in fractions, teachers can use shapes to show how fractions work. Start with help of a shape such as a square or a rectangle. Ask your students to divide the shape into segments according to your desired fraction. Let your students perform the task on their own. 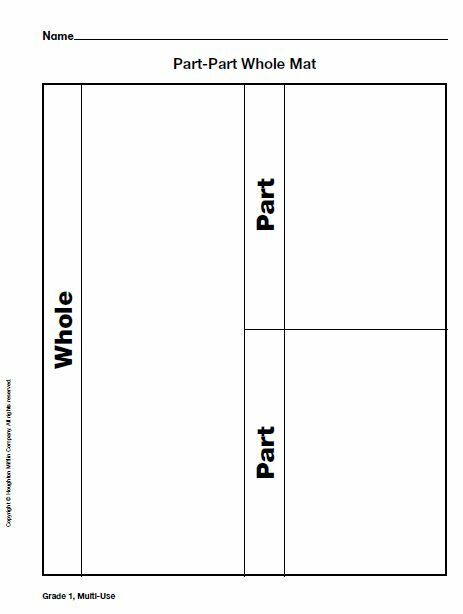 This will help them to get lots of practice at working on the rectangles and dividing them into halves, thirds, quarters etc. Now, for example, if the fraction is , ask your students to divide the box into 4 segments. Label each segment as . To curate the bar model according to the fraction. Ask the students to shade the three segments of the shape to show the working of fractions. 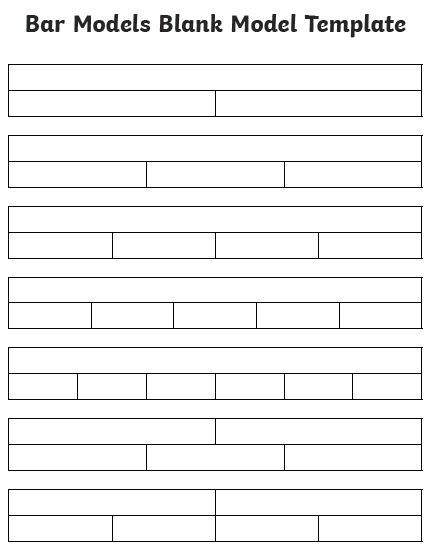 Displaying Fractions of a Given Amount – Again ask your students to draw a shape. Suppose, you have to solve a problem where the amount given is 25 and you have to display the th portion of 20. Begin by diving the shape into 5 segments. Next, draw a line parallel to the top of the whole box and write the number 25 on top of the line. Now, you need to find 4 parts out of 5 parts. Shade 4 segments of the shape. Explain to your students that if 25 were to be divided by 5, then the answer would be 5. Therefore, each segment of the shape would be equal to 5. Hence, four parts of the box would be 20. Finally, you can explain how dividing by the denominator and multiplying with the numerator works. Equivalent Fractions – Equivalent fractions are another great way of explaining the use of bar models to children. Suppose that you have two fractions such as 1/2 and 3/6, which are quite obviously equivalent fractions. To explain the students about this, draw two boxes of the same length and breadth. Divide one of the boxes into 2 equal halves while the other into 6 equal segments. Upon shading them according to the numerators, i.e. one box and three boxes respectively, your students find that equal areas of both the boxes have been shaded. Thus, by these means, you can explain equivalent fractions to your students. 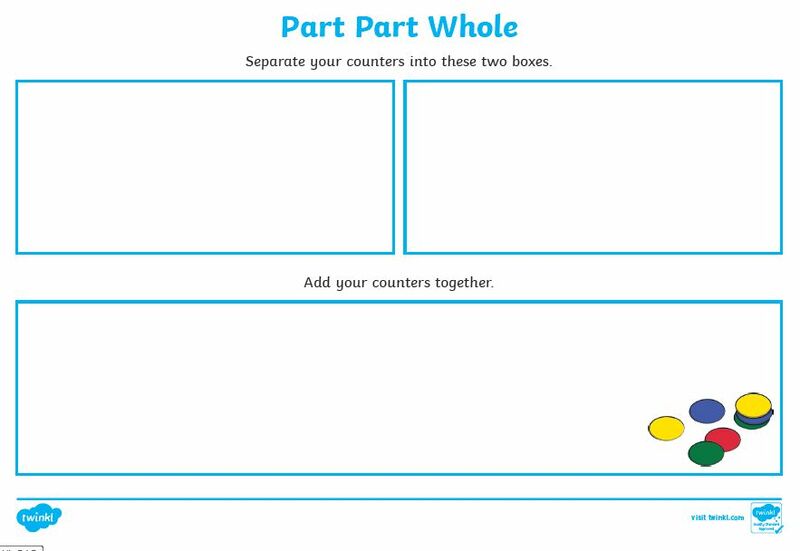 Adding Fractions with Different Denominators – Adding fractions is quite easy. Adding fractions with different denominators is not quite so. However, it becomes a lot easier when bar models are used for such cases. Let’s say that you’re faced with the problem adding two fractions. Taking the previous example into account, let’s say that have the numbers 1/2 and 3/6. Draw two rectangles and divide them into 2 segments and 6 segments, respectively. Shade the respective boxes according to their numerators i.e. 1 box and 3 boxes respectively. Now, it is quite obvious that these fractions have different denominators. So, you need to convert their denominators into equal terms so that they can be multiplied. One way of doing this is by multiplying the numerator and the denominator of 1/2 by 3. Perform the same in the shape as well. The shape for 1/2 has been divided into 2 equal segments. Now, divide each of these segments into three equal sub-segments. If you count, you will find that now, both the shapes have three shaded regions and three non-shaded ones. Hence, you can easily add the fractions now. Multiplying Fractions – Another outstanding area where bar models can be implemented into fractions are in multiplication. Usually, for multiplication, the figures required can be quite big so make sure that you have a figure which is mapped out with an optimum space. Suppose that you’re presented with a problem where you have to multiply two fractions such as 2/3 and 3/5. 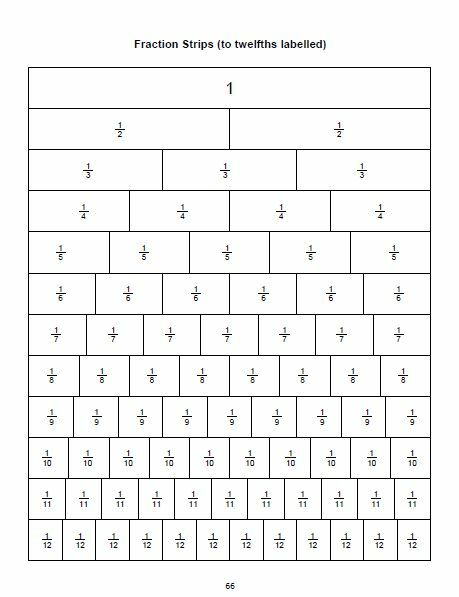 First and foremost, ask your students to divide your box into rows and columns according to the denominators of the fractions mentioned. For this example, we are going to be dividing the rows in 3 parts and columns into 5 parts. Do not forget to mention the fraction above the columns and rows respectively. Now, it is given that the fraction for the columns is 3/5. Therefore shade three sets of columns on this side. Now, do the same with the row side by shading 2 rows. If you see the bar model now, it shows that there are two segments which have not been shaded. These rows actually come under the total number of rows which are formed after the multiplication. On the other hand, you will see that there are 6 segments which are in shade on the row side as well as on the column side. These 6 segments form the numerator of the new fraction. On the other hand, the total number of segments of the bar model form the denominator. Part-whole models are one of the most integral concepts in bar models. Mathematics teachers in Singapore make use of concrete objects when it comes to explaining students about the part-whole method of bar models. Once students become adept at understanding the concrete structures, teachers move up a level and teach students to visualize bar models in the form of pictorial representation. The concept of part-whole bar model can be explained with the help of a single example. Let’s say that person A has 400 balls and person B has 300 balls. Students have to find the total number of balls that they have amongst them. At first, teachers need to teach students with the help of concrete models. However, when the students are adept at understanding them teacher can allow the students to simply draw the boxes, shapes or segments without any pictures. Eventually, the entire model can be visualized as simply two boxes. So, first, we need to draw two boxes of varying sizes. The large box should be dedicated to person A who has 400 balls and the small box should be dedicated to person B who has 300 balls. These two boxes signify two parts of the problems. Now, in total, they have 700 balls. Therefore, 700 is the total or the whole. Therefore, in order to find out the whole of the given parts, all that the student needs to do is add the two parts together. This is all that part-whole model signifies. KS1 or Key Stage 1 SAT are tests organized by the school to help the child, the teachers and the parents to understand their child’s strengths and weaknesses. The tests also determine how well a child performs in his school as well as the country. 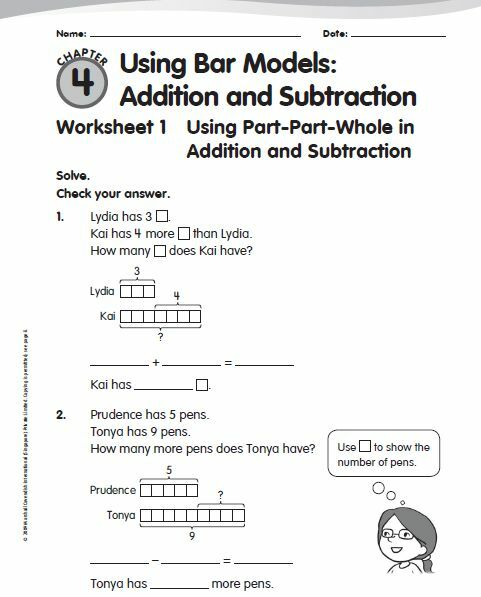 In year 1 of KS1 SAT’s, people often encounter numerous calculations which are based on the concept of bar modeling. Therefore, it is very important that children know the knacks of solving problems with the help of bar models. The bar model problems in KS1 SAT’s usually present themselves in the form of word problems. One example of the same is that Person A has 7 oranges. Person B has 10 oranges. How many oranges do they have in total? 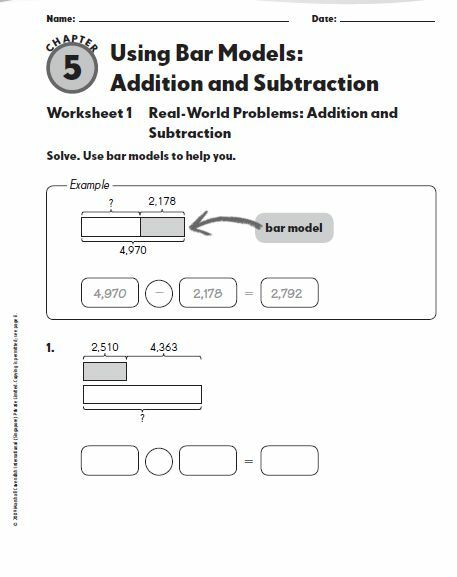 A proper understanding of creating bar models can help students to get the idea of working operations such as addition, subtraction, multiplication, and division. Therefore it is crucial that they understand how to create a concrete representation of the bar models. The first step deals in students thinking about real-world objects and representing them. Once the students are successful in imagining about the real world objects, they should replace the real world objects with shapes to represent the objects that are being discussed in the question. As the students go deeper into the bar modeling concept, they should move from creating concrete bar models to creating pictorial models. This step is best decided on the basis of progress by each individual student. Finally, students should be able to represent the objects mentioned in the problem in the form of bars. The number of bars should concede according to the figures mentioned in the problem. A lot of countries use bar models in their approach while teaching Mathematics, primarily the education systems of Singapore. Explaining addition becomes very easy with the help of models. These models can be used to depict the approach using lines, cubes, and boxes. 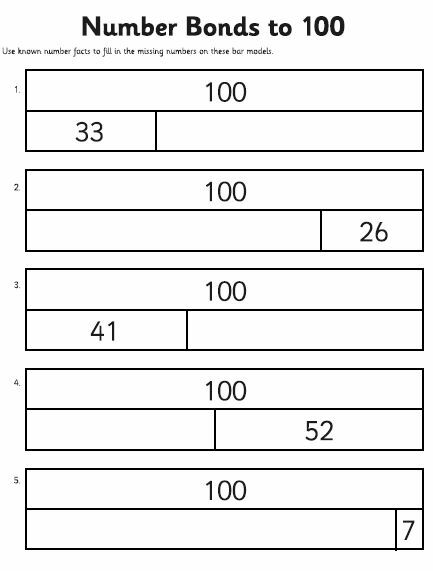 For depicting addition, you can use a box and divide it into segments, relative to the numbers being added. Then fill each of the respective boxes with the numbers. Finally, connect each of the segments with the help of lines, merge them at a point and show the total where the lines merge. Similar to addition, bar models can also help to better visualize subtraction problems with the help of lines, cubes, and boxes. Draw two boxes, one larger than the other. Make sure that both boxes are aligned perfectly with each other. Fill the larger box with the greater number and the smaller number into the other box. Having done this, you will find that there is some difference in the lengths of the two boxes. This difference in length can be termed as the difference between the two numbers. Sometimes, multiplication problems become too difficult to be solved. Algebra is a useful tool in such cases but teaching algebra to younger students seems truly absurd. Bar models can be a useful tool here. Let’s say that a person named Cathy purchases 4 books and 2 pencils for a total of Rs. 100. The books cost Rs. 15 each. So, now Cathy needs to find the cost of one pencil. In such a case, create two boxes and divide them into segments. Make sure that one box is larger than the other and that they are perfectly aligned. Now, divide the larger box into 4 segments and label it as “Books”. Divide the other box into 2 segments and label it as “Pencils”. Draw lines from their ends and join them and label the point with the total amount of money spent, i.e. Rs. 100. Now, according to the problem, each of the books cost Rs. 15 each. So, fill in each segment of the “Books” box with Rs. 15. Now show that each of the books cost Rs. 15, therefore their total will be 15×4 i.e. 60. Now, the total cost of the books and the pencils is Rs. 100 and the total cost of the books are Rs. 60. Therefore, the remainder of the money spent has to be the cost of pencils. Thus, the total cost of the pencils is Rs. 40. And each of the pencils has to cost Rs. 20. Put this value in the two segments of “Pencils” box. 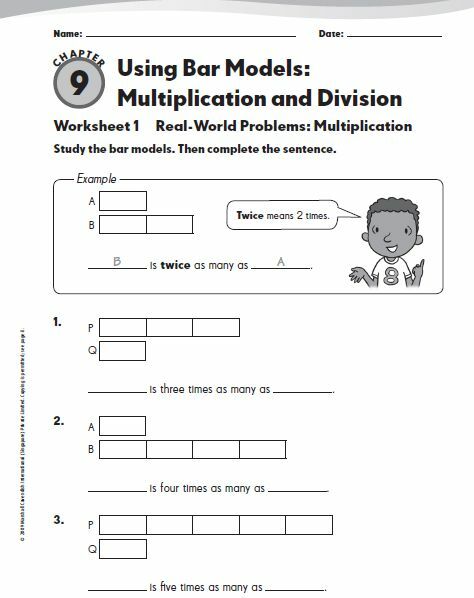 Similar to multiplication, division problems can also be solved quite easily with the help of bar modeling. Let us say that Sam and Dean are on a vacation. Sam clicked 200 pictures while Dean clicked 25 pictures. We need to find how greater in number were Sam’s pictures than Dean’s. Before approaching division problems, we need to first find the greater number and the smaller number. Sam had the greater number of pictures. Therefore, students should draw a bar model accordingly. Now, draw a smaller bar model for Dean. Having done this, students can easily visualize that the number of boxes for Sam’s pictures are greater than Dean. Therefore, they can also easily see that Dean’s bar model can easily fit into Sam’s bar model. All that they need to do is to figure out, how many times Dean’s bar model can fit into Sam’s. That is how greater Sam’s number of pictures was in comparison to Dean. In this case, Sam clicked 200 pictures while Dean clicked 25 pictures. Therefore, Dean’s bar model can easily fit into Sam’s 8 times. Thus, Sam clicked 8 times more pictures than Dean.